The sector has the luxury of a price system that is set by factors outside their direct control. Until the recent oil price crash, it was often set in such a way that it allowed it to generate relatively healthy profits and to tolerate a great deal of inefficiency in its processes. But this is rapidly changing. New players emerge, disrupting the status quo by applying new business models, only a couple of years ago considered revolutionary. 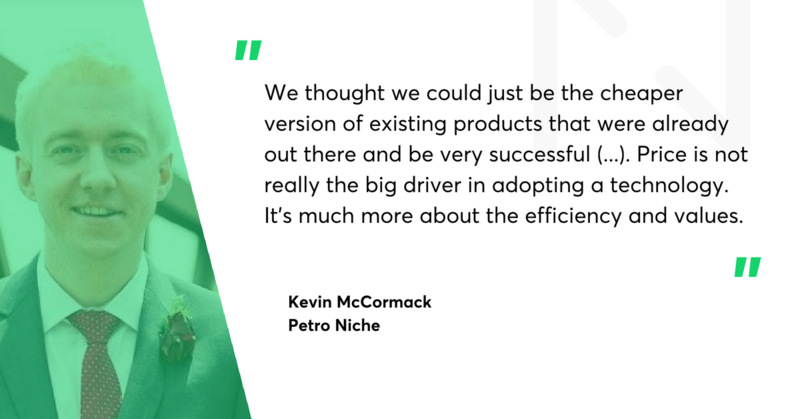 We’ve talked with Kevin McCormack, founder and president at Petro Niche, a Calgary-based technology and consulting company focused on the oil and gas sector. Petro Niche offers mapping and consulting services to oil and gas professionals across western Canada. The company is planning to expand its operations to the US soon. 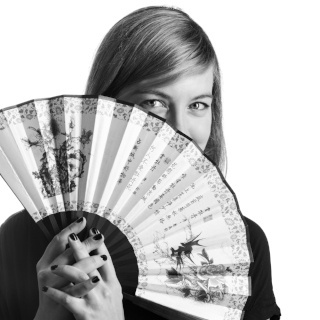 Karolina Kurstak: How did you become the president of an energy-focused company? What is your background? Kevin McCormack: I studied Engineering Physics at Queen’s University in Ontario, Canada. After graduation, I worked for a large oil and gas company. Petro Niche Technology started as a part-time project. I never intended to work full time on it, as I was quite happy working in the industry. As my small business grew, I became frustrated with how expensive industry data was and how antiquated the software was. In 2016, I made the decision to start building Petro Ninja to address the pain I had been experiencing (Petro Ninja is Petro Niche’s free, interactive app that maps the Western Canadian oil and gas infrastructure). It was a process - we started with a small idea and ended up with a big ambition. Tell me more about Petro Ninja. What is your product about? Canada's oil and gas industry is quite large, there’s a lot of infrastructure and data associated with it. Much of the oil and gas data is government owned. Until now, companies have been purchasing this data and then selling it as expensive licences to the industry. The software associated hasn’t been modernised and usually uses old fashioned analytics. Petro Ninja is a modern response to this pain. We offer an open mapping platform for the oil and gas industry. We purchaseindustry data and make it accessible for free through our web and mobile applications, as well as as an API and an SDK. Businesses use Petro Ninja to discover, analyze and collaborate with industry data. 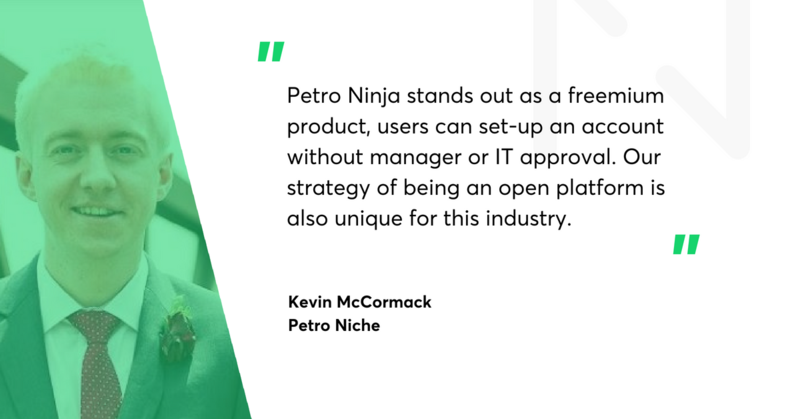 Petro Ninja stands out as a freemium product, users can set-up an account without manager or IT approval. Our strategy of being an open platform is also unique for this industry. If you give infrastructure data for free, how are you planning to monetize? We give our users data for free through our mapping app. Our goal is to build tools and integrations with other products on top of the basic application. That’s where we’re trying to monetize - through the value added services on top of this free data. Apart from Petro Ninja, you also offer consulting services. Are they a strategic part of your business? They used to be, not so much anymore. We used to be on the service side, but ultimately ended up focusing on the technology. First of all, as a small company, we needed to decide whether we wanted to do more consulting work or try to build a new service. Ultimately, we decided we wanted to build an application that would bring value and be used by thousands of people. We believed we could have a much bigger impact with the Petro Ninja app. There’s a lot more leverage in software than consulting. We are now purely focused on the software side. Looking at this more broadly - on a scale from 1 to 10, how digitally advanced is the industry? How quickly is it changing? The oil and gas industry is pretty conservative when it comes to adopting new software. There are quite a few companies that offer mapping tools, but they all have the same business model - they sell the data. As a result, those companies have never had an incentive to start from scratch or rethink their way of doing business. Most of the players have been around for 15-20 years, introducing mainly incremental updates. We have the advantage of starting fresh. We use new technologies and have a new mindset. We’re trying to open up a new space, do interesting things, all of this using a very different business model. Since Petro Ninja is a free app, we have a wide variety of users. A lot of them have never had access to the data we’re offering. A big portion of our users are operators who are out in the field working directly on drilling or maintaining the infrastructure. They use our app to get directions to wells and pipelines, and obtain information which usually would be provided by their head offices. At the other end of the spectrum, we have CEOs and top level employees who are using the app to look up data in meetings or away from the office. What about your plans and strategies for growth for the next 2-5 years? We look at growth in a couple of different ways. From a geographical point of view, we soon want to expand into the United States. But we also want to concentrate some of our efforts on adding data sets to our databases and on improving the quality of our product. Right now we’ve been concentrating on public data, but there’s still a lot that we can add from private sources. And we’re still trying to commercialize. We’ve just started to sell our application with the premium features - and want to keep improving it. How difficult is to expand into the United States? The biggest challenge would be that, whereas Canada's data is quite uniform through pretty much all provinces, the US is very different from state to state. And they don’t always collect uniform information. There’s probably 10-15 states that we want to get data from and they’re all different in terms of how they store and manage data. There are some places that still operate on printed documentation - places where you take the actual physical paper document and try to digitize it. The big challenge with working with a huge new data set is to know how to bind all sorts of data sources together and automate the data processing. What’s the biggest professional challenge that you’re facing right now? I’d say it’s to try to balance the current business goals with our long-term strategy. At the moment, our focus remains on onboarding new users and going through the commercialization phase. While we're monetizing the app, we are ultimately focused on our long term strategy, which I believe down the road will be quite profitable. We want to bring a valuable tool to our users. Providing the best service will let us bring staff on and enhance our product. Looking in retrospective, was there anything you would do differently? Two years ago, we didn't necessarily see what we would be doing right now. Early on, one of the mistakes we’ve made was that we thought we could just be the cheaper version of existing products that were already out there and be very successful. And that’s a very naive way of thinking, especially in this industry. Price is not really the big driver in adopting a technology. It’s much more about the efficiency and values. If you can’t really show why your technology does something in a different and better way, you simply won’t succeed. At the end of the day, software is still a relatively small expense for a gas and oil company, compared to their drilling or operations budgets. It took us some time to realise we can’t be just a cheaper version of existing solutions - so we changed our business model. What do you consider your major achievement during your time at Petro Niche? In terms of what we’re really proud of, it’s the mobile app. My background is on the engineering side rather than the software side. For years I’ve used the conventional tools that were available. Most of the people thought there was no way you could do this differently. Being able to see that in fact, there was a different way, and it would be much more efficient, was a highlight. Our mobile app means cutting thousands and thousands of dollars in costs. And the interest we’re receiving from field employees is fantastic. We had a guy call one morning, he was one of our free users. He’d forgotten his password and he called almost in panic. He needed our app for his job so much. It was good to hear that we’ve provided enough value to have people calling us in such a worry because the app wasn’t working for them. Last but not least - how did you find out about Netguru? What is your experience with Netguru? My brother who lives in London worked for a company that hired Netguru for some development tasks. He had a very good experience and suggested to me that if we ever needed some work, then you guys might be a good fit. The other thing is that the technology we’re using for our mobile app is React Native. RN is not really common, at least that was our feeling when we were looking around to find good developer companies specialising in it. We also have Ruby on Rails on our backend side. Netguru specialises in RoR, so we were confident we’ll have the flexibility that was needed. I had tried hiring freelancer developers online before that, usually to limited success, so I really wanted to try a proper software house. My experience with Netguru is positive, together we’ve completed a very important project.